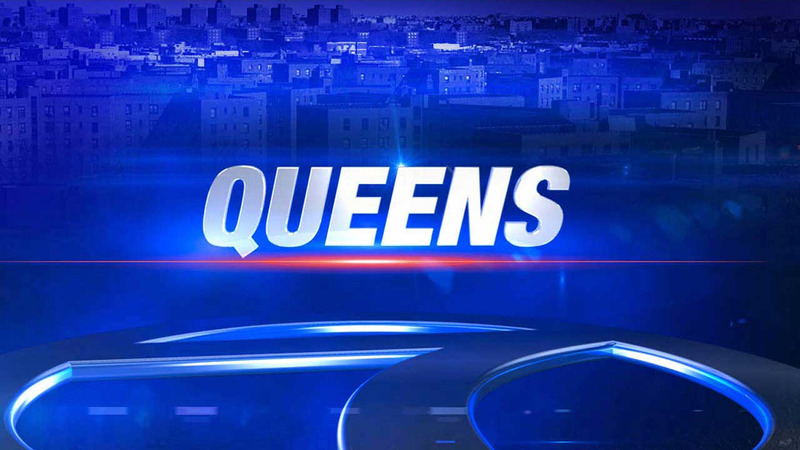 NEW YORK -- Two men are under arrest after police say two men posing as officers unwittingly ordered a real cop -- the commanding officer of the 106th Precinct, in fact - to pull over in Queens Wednesday. Deputy Inspector Jeffrey Schiff was stopped at a red light at Linden Boulevard and Hawtree Street when a vehicle cut him off around 3:45 p.m.
Two men in the vehicle ordered him to "move your vehicle" and "move out of the way" because "we are police." Schiff, who was in an unmarked vehicle and not in uniform, pulled over to make way. But he then decided to follow them to see if they needed help. It quickly became clear the two were not responding to an emergency, so Schiff activated his cruiser's lights and pulled them over. The two men claimed they were police from police officers from Pennsylvania, but authorities say they were unable to provide any police identification. Schiff noticed two young women in the backseat, and after further questioning, placed both men under arrest. #Fake #Cops beware! You will b arrested by real #Police when u impersonate them! 2 perps arrested 4 Police #Impersonation by the #106Pct CO! Authorities say 26-year-old Rafael Rodriguez and 24-year-old Brian Estevez are charged with criminal impersonation of a police officer and reckless driving.